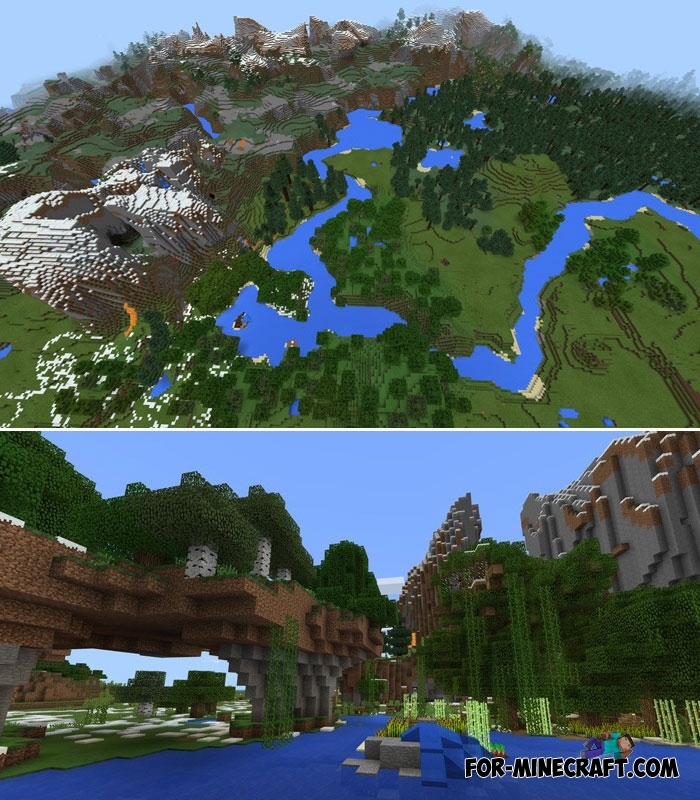 When you start a new game, you will have a rather small chance to generate a really diverse world around you so throw aside the standard generation of Minecraft. Maps and seeds are an effective way to play in an interesting and picturesque world that accommodates what you need during your survival and will also delight your eyes with beautiful landscapes and places. Realistic Survival is the optimal combination of survival (there are no bonuses and a bunch of free things) and a unique nature. Every day you can explore the nearest biomes, extract resources and develop your mansion. In addition, this place can be a great start to the victory over the bosses.